Yes, that's right! At most inconvenient of times I saw him and I just fell in love!!! He is big, he is heavy and he is hot! 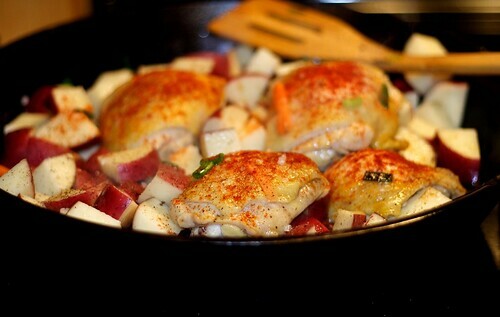 A Lodge Cast iron skillet! 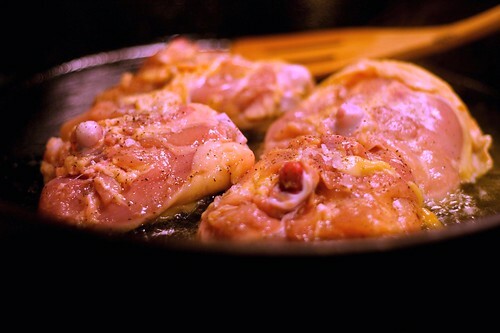 1.Preheat your cast iron skillet gradually over low to medium heat. Wash and pat dry the chicken tights. 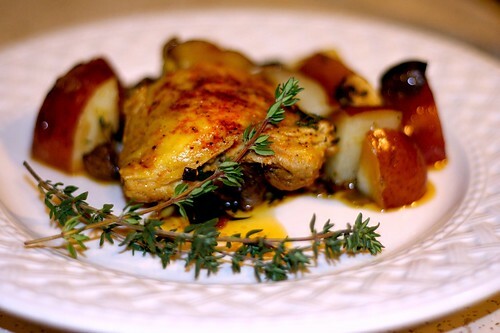 Fry the chicken in the olive oil until golden on top. 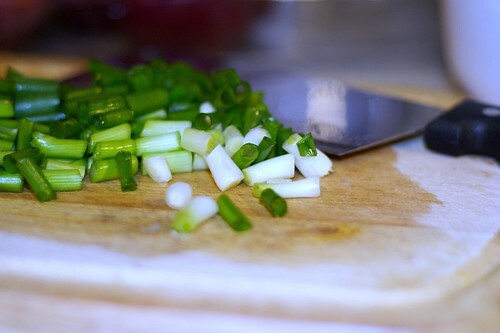 Sprinkle the sea salt, black pepper and then add the scallions. 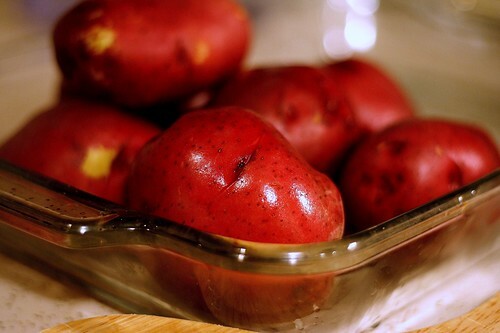 Stir gradually and preheat the oven at 375 F.
2. 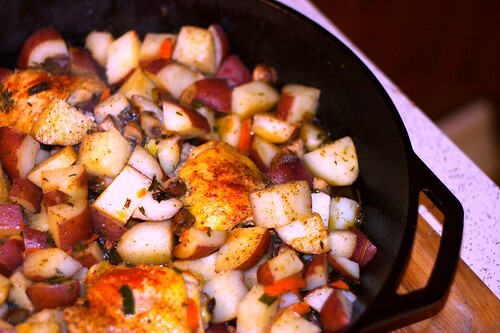 Add to the skillet the previously cut potatoes and sprinkle the paprika and fresh thyme on top. 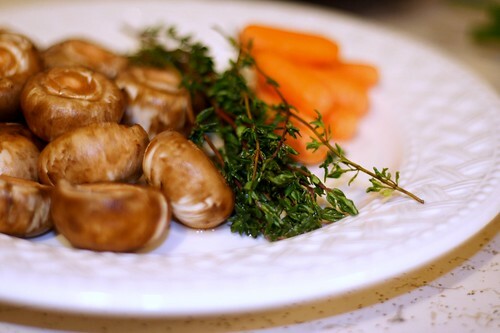 After the potatoes are golden at the edges, add the mushrooms and carrots. 3. 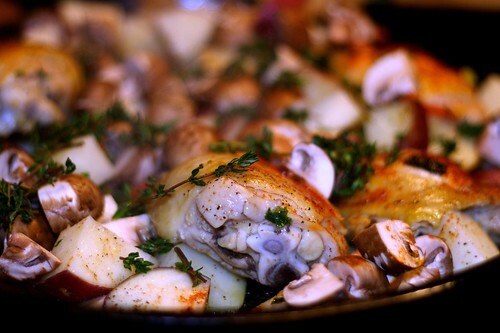 Cover the skillet with aluminum foil sheet and place it in the oven. 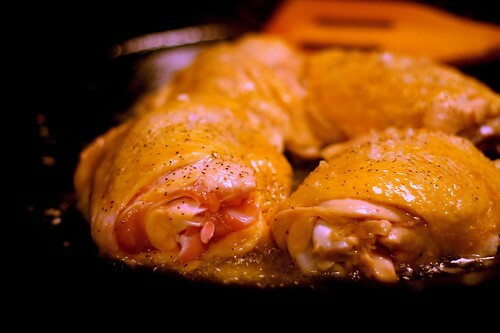 Cook 20-25 minutes or until the instant thermometer reads at least 185F in the chicken thigh.